Since the aftermath of the 2010 earthquake, Haiti has embarked on comprehensive reform programs to improve its public administration system. However, Haiti’s public sector institutions still suffer from inadequate institutional capacity and inefficient budget and fiscal management processes. Haiti is the poorest country in the Americas. The United Nations (U.N.) Human Development Index reports that in 2011, Haiti had the lowest gross national income per capita of U.S. $666. Over half of its population of 10 million lives on less than U.S. $1 per day. Haiti’s 2012 Human Development Index value of 0.456 is also below the average of 0.466 for countries in the low human development group. The unemployment rate is about 40 percent. It is high among young people, who represent more than 50 percent of the entire population. Before the 2010 earthquake, over 70 percent of the population did not have a steady job; the unemployment rate was 40.6 percent. According to Elizabeth Ferris and Sara Ferro-Ribeiro, after the earthquake, the unemployment rate in the metropolitan area is 49 percent. In general, the country is deficient in providing basic services as water, health and sanitation. 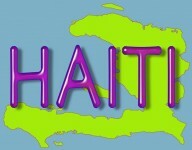 Socio-political issues have aggravated the situation in Haiti. Throughout its political life, Haiti has experienced regular political violence including 32 coups. The republic also experienced a lack of accountability and integrity in government—past democratically elected presidents were charged with gross corruption. In 2011, Haitians elected Michel Martelly as the new president of Haiti. Since then, his government has pursued and led a critical reconstruction phase in the country. The 1987 Constitution opted for decentralization as the strategic path for development. It mandated the administrative and financial autonomy of communal government. However, for more than two decades, the country is still at initial levels with regard to decentralization. The main challenges include a lack of reliable data on the territorial authorities, the incapacity of the municipalities and the lack of competence for preparing communal development plans. Municipal governments have little decision-making authority over their communities and are dependent on a highly centralized national government for funding. The 2010 earthquake killed nearly 30 percent of Haiti’s civil servants. After the earthquake, efforts focused on developing a skilled cadre. However, there is no policy that governs working conditions for civil servants. Although the law provides for merit-based civil service, in practice most government jobs are obtained through political connections. Patronage and lack of accountability are critical problems of the system, according to a 2010 report from the RAND Corporation. Efforts to tackle the institutional deficiencies of the civil service system include the National Growth and Poverty Reduction Strategy, supported by the International Monetary Fund (IMF) and implemented from 2008 to 2010. Through this program authorities set up the Central Database of Civil Servants and the National School of Administration and Public Policies. However, a sense of who exactly is in the civil service, and what they are doing (i.e., job descriptions) is still unclear. In the same vein, efforts to tackle social problems such as unemployment include the National Strategy for Reconstruction and Development. Efforts to tackle public health and education administration issues include the Integrated Social Services Project (2013) and the 2010-2015 Operational Plan for Education. Apart from humanitarian assistance, donors have been providing support in areas such as infrastructure, public finance management, electricity sector reforms and governance since the 2010 earthquake. For example, the European Union has supported a Program for Housing and Urban Development and a Program for Improvement of Quality Education that supports the building and rehabilitation of schools, the training of teachers and the distribution of books and textbooks as well as the schooling of more than 150,000 Haitian children. Canada, through its Canadian International Development Agency, assisted the Haiti municipalities of Port-au-Prince, Gressier, Léogâne, Petit-Goâve and Grand-Goâve through the project Haiti Earthquake-Municipal Cooperation. The project aimed to help these municipalities better plan and coordinate reconstruction activities and to provide services to residents. It provided technical assistance to the departmental and national associations of Haitian communities, including the National Federation of Haitian Mayors and the National Federation of Community Councils. a) Public financial management through better budget execution and cash management. b) Institutional framework and capacity for effective public procurement. c) Governance and performance in the electricity sector. The limitations and challenges identified during the implementation of national and local programs aimed at improving public services have to do, in general, with limited or no institutional capacity (e.g., lack of skilled human resources, inadequate infrastructure and inefficient planning and management processes). These deficiencies were identified a long time ago, far before the 2010 earthquake. a) Training and enforcement of performance standards. b) Building human resources management tools for job descriptions and job classifications. c) Designing standards and procedures for hiring and firing. d) Establishing a merit promotion system and salary grades. e) Creating incentive systems for good performance. Likewise, Haiti’s municipalities need to improve their administrative capacity to generate revenues and deliver services. They need to improve their capacities in areas such as strategic planning, budgeting, tax collection, financial and program management, as well as community consultation on budget priorities. They need to establish standard procedures for fundamental municipal functions. Author: Carmen R. Apaza, Ph.D. is an international public service consultant at the United Nations Development Program. Apaza can be reached at [email protected].